Coupon does not apply to service charge and cannot be combined with any other offer. 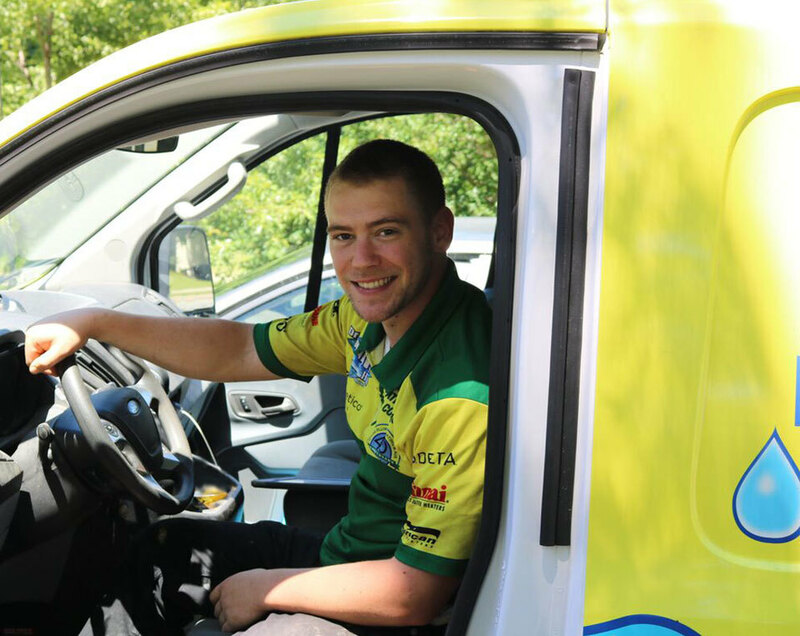 What began in 1974 as a one-truck, one-person operation out of company owner Greg Johns' basement has grown into the Triad's largest locally owned plumbing, heating and air, and water purification service. Operating more than 30 trucks around-the-clock and answering service calls live 24/7, we stand by our customers with fast, efficient, and affordable service. Whether a small house, large apartment complex, or multi-unit business park, one phone call is all it takes. We are there when you need us 24 hours a day, seven days a week whether it’s plumbing, heating and air conditioning, drain cleaning, or water purification. Customer service is the root in our foundation, and our knowledgeable technicians are ready to assist you with any of your requests. Johns Plumbing & HVAC is a Trane Comfort Specialist Dealer in Greensboro, Winston Salem, and High Point, NC.